All marketing teams are constantly pursuing alignment, but achieving that goal can be challenging, regardless of your industry or business size. If your team is geographically dispersed with each segment chasing their own agendas, alignment becomes even more difficult because of the logistics and communications involved in getting everyone on the same page. And when companies are experiencing rapid growth or undergoing a merger or acquisition, proper and effective marketing alignment becomes almost impossible — at least temporarily. In these environments, the scale of marketing activities and range of related platforms can grow rapidly and unpredictably. When you throw in a diverse marketing technology stack, decentralized marketing team, and potentially multiple brands, companies can quickly and easily lose visibility and control of their marketing efforts. Getting a large and diverse marketing team on the same page can be a challenge, but it’s not impossible. So how can companies ensure they are in control of their marketing activities? 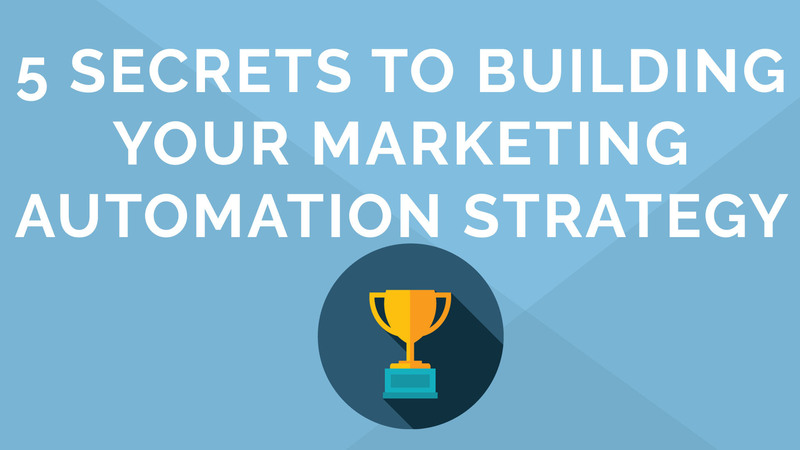 Two words: marketing automation. Marketing automation plays a crucial role in helping businesses coordinate, scale, and execute their marketing initiatives, but how you use your platform is just as important when it comes to meeting and exceeding your overarching marketing goals. This is where establishing a marketing network designed to follow a parent/child account model comes into play. A marketing network is designed to have a main “parent” account that controls shared content, contacts, and guidelines to be used by “child” accounts. Combined with marketing automation, this approach enables you to grow your business, improve productivity, and gain visibility into your analytics and KPIs by enabling you to keep marketing efforts centralized and consistent. But this list is only the beginning of the benefits your company will experience by adopting this approach. Here are a few other ways a marketing network can help your team be more effective and successful. Although 95% of companies have branding guidelines, only 25% strictly enforce them. Despite the potential to increase their ROI by 23%, many companies are falling short when it comes to making their brand memorable and generating results by focusing on brand consistency. For large and/or global companies, this is often due to poor communication visibility of marketing efforts across a fragmented team. Establishing strong lines of communication is immensely difficult when you’re managing a decentralized team, including members located in different geographic areas and time zones. A marketing network empowers businesses to take control of their brand image by providing them the tools they need to enforce guidelines from the top-down, regardless of where your employees are located. Businesses can use their marketing automation platform to set up a parent account where they can create templates and establish guidelines to be shared with and leveraged by child account instances. In addition, all accounts can easily share content, which improves efficiency across the board. For example, in Act-On, you can create templates for emails, landing pages and forms that can be accessed by child accounts across your organization. This allows teams working in different geographical locations, and even various languages, to ensure consistency across all marketing activities while still enabling regional teams to localize content for a specific audience. Therefore, developing and maintaining a marketing network is a huge step toward differentiating yourself from your competitors and increasing your marketing ROI. While centralizing your efforts can help you ensure consistency, it is just as important to provide each unit of your team with the proper tools and enough flexibility to do their job and achieve results. When you’re working within a larger or growing organization, each geographic area or business unit will likely have individual goals and success metrics — and they might even be using a different CRM. Therefore, your marketing automation platform and marketing network model should accommodate these needs and empower each unit within your marketing team to contribute to your overall success. For instance, each child account within Act-On is able to integrate their own data sets, use their own CRM, and easily create their own content and automated programs. Users within each account can set up their own website tracking and create lead scoring models. In addition, sales users can even create their own sales notifications, emails, and other content as needed. All these features empower each account to achieve their individual goals and contribute to the bottom line of your organization. The ability to quantify your success is just as important as achieving it because it allows you to optimize and repeat. You want to be able to see what efforts are working and which are falling flat, find ways to better engage your audience, and convert more leads to customers. Data and analytics are your best friends when it comes to gaining this degree of granular insight. As it relates to visibility, one major benefit of implementing a parent/child account model at your organization is that it enables you to track your performance better at both the organizational and unit level. Therefore, you can have the insights needed to conduct changes based on region or business units as needed. Implementing this model also creates greater accountability across the board by enabling each account to track their own progress. At the end of the day, getting everybody on your marketing team on the same page will help you get on track toward exceeding your goals. For companies experiencing rapid growth, the goal should be to expand marketing efforts at the same pace as other business efforts. Implementing a marketing network enables you to do that and have more control over all activities. With this top-down approach, you can ensure brand consistency, empower your team to do their best work, and gain insights to make informed decisions that will lead you to better opportunities and even greater results.